Long commutes stink and for most of us, it is the penance we pay for living in the endless summer of SoCal. Even the advent of self-driving cars won't overcome the fact that having a one hour commute each way equates to a year of time over seventeen years and most of us will work many more years than that in our careers. Spending so much time in the car has more costs than just time. Fuel costs, wear and tear and stress are factors we just can't ignore, so it makes sense to have and want as short a commute as possible. 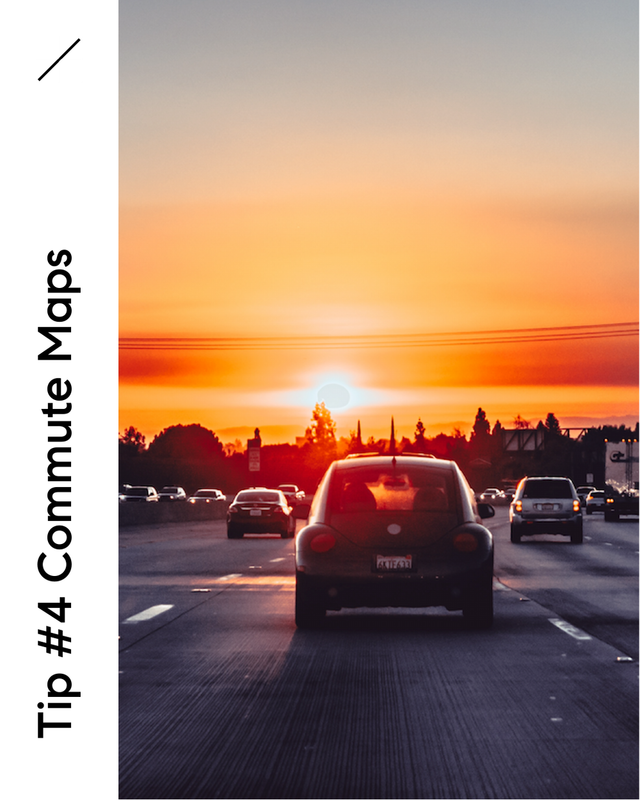 One of the first conversations I have with clients looking to buy a new home is where is their work and what is their threshold for a commute time. Armed with this info I can generate a custom Commute Time Map from special software only Realtors have access to. I can punch in a multitude of factors like arrival time of day, day of week, desired commute time and specific addresses to generate a map that will show the exact outer limits of the desired commute. The commute times are not based on distance, but based on exact traffic drive time data, and the reach changes based on parameters. For example, after work commutes are significantly different than morning commutes. Armed with this info, a home shopper can narrow their focus to cities that fall within this scope. Not only does this help narrow your focus to where it makes sense to live, but you can uncover some neighborhoods that you never considered before. A narrow focus will get you to see those great houses before they sell (and the good homes in LA sell quick) and a sensible commute will give you more time to spend with those you love.